Dress up your feline friend by purchasing cat accessories and apparel. Buying the right accessories is not just about making your cat look adorable. When outside, essential items such as cat leashes and cat harness go a long way in keeping your pet safe. 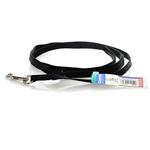 At PetCareRx, you can choose from a wide range of cat leashes available in various colors. These leashes are made from quality materials and provide years of happy walking with your cat. When at our online store, you can also find flea collar for cats. These essential accessories kill existing fleas and prevent future infestation. The great thing about a cat flea collar is that it works in the background and effectively repels fleas and ticks for as long as 8 months. We also feature special collars that help reduce separation anxiety by releasing pheromones. Made using patented technology, these products are perfectly safe and are ideal for stay at home pets. At PetCareRx, we bring you a vast range of high-quality accessories for cats. 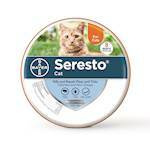 Featuring reputed brands such as Seresto, Sentry, and Hartz, our aim is to bring you quality cat accessories at affordable prices. Check out our dedicated cat accessories and apparel page to find exactly what your pet needs.